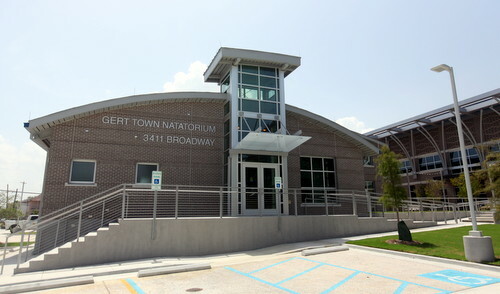 The new headquarters of the New Orleans Police Department’s Uptown-based Second District in Gert Town — as well as the new indoor pool on the same lot — are nearly complete after more than a year of construction, but no opening date has been announced. Construction on the station at 3411 Broadway Street began in May of 2017 and was expected to be finished by March of this year. 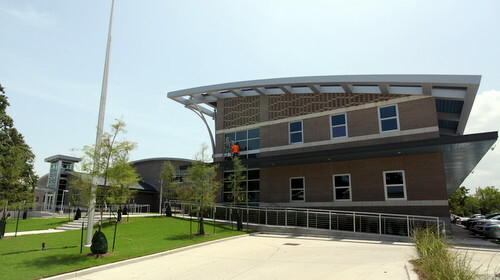 The building is now complete and police officers have had several tours of it, but no official opening date has been announced, and Mayor LaToya Cantrell’s office has not answered questions about it. The building will serve as a long-awaited replacement for the current Second District station on Magazine Street near Napoleon Avenue, which was first built in 1899 as a fire station. That building has needed multiple emergency repairs over the years, such as the replacement of a dangerously deteriorated floor in 2013, and offers very little parking for officers on the busy commercial corridor. The new station will also be more centrally located within the NOPD Second District, which runs from Hollygrove through Gert Town into Carrollton, the university and Audubon areas, and down Freret and Magazine streets to Napoleon Avenue. The current station, by contrast, is at such an extreme edge of the district that the district lines are actually gerrymandered around it.